Low prices, discounts, and free shipping are the reigning factors influencing consumers to shop online. In fact, a majority of our respondents claimed that they were more likely to purchase a product online if it’s cheaper than at a regular store. While price plays a pivotal role in consumers’ purchase decisions, competing solely on price is not a sustainable option for brands and retailers. Thankfully, there are other areas they can compete on that are also highly important in the online path-to-purchase. Our study revealed that, other than low prices, consumers also value factors such as product content, ease-of-use, convenience services, and availability of their preferred brands. 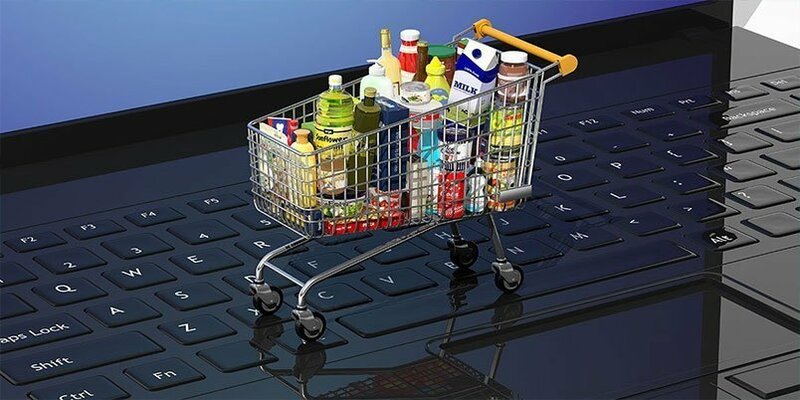 As much as FMCG consumers enjoy the comfort of shopping online, they miss using their sensory abilities to touch and feel products. So it’s no surprise that shoppers regard product information highly when it comes to making online purchases. They expect product pages to include detailed and accurate information and with high-qulaity images for making informed purchase decisions. Nutritional information is another key aspect where both FMCG brands and e-tailers need to share the onus of ensuring 100% accuracy as it plays a vital role in winning the trust of the online shopper. Additionally, our respondents pointed out product reviews and ratings to be an important aspect of product information they seek. 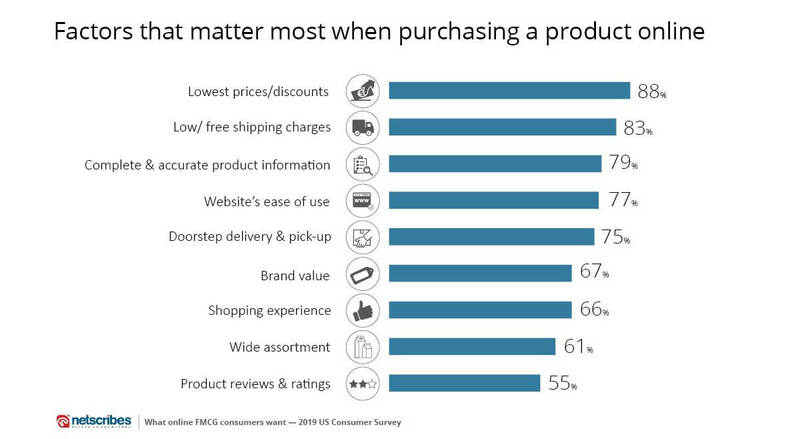 Type of product content that matters most in the online FMCG purchase journey. To know more about the findings of our survey, download the report What online FMCG consumers want? 2019 US Consumer Survey.